Dr. Tim Pitchford makes a good living as a surgeon and has a good retirement plan and 401(k). But when his 401(k) took a hit in the financial meltdown, he started looking for a more secure savings plan for his family. One day while driving to work, he heard on the radio about the Bank On Yourself method. Bank On Yourself uses specially designed dividend-paying cash value whole life insurance policies to create secure savings plans for individuals and families. Dr. Pitchford was intrigued by the idea that once he established one of these little-known dividend-paying policies, he would be able to borrow money from it and repay interest to himself, as the owner of the policy, instead of to a bank. 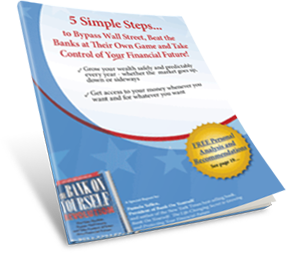 Dr. Pitchford contacted the headquarters of Pamela Yellen, author of the New York Times Bestseller The Bank On Yourself Revolution: Fire Your Banker, Bypass Wall Street, and Take Control of Your Own Financial Future. They put him in touch with Bank On Yourself Authorized Advisor, Trevor Lastoka, of Provident Financial Group of St. Paul, MN. Lastoka helped Dr. Pitchford set up his own plan in September 2009, based on his financial goals. 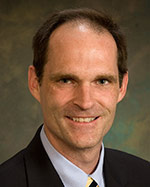 Dr. Pitchford is 41 and he and his wife have three children in their early teens. He wanted to set up a plan that would pay for their college and allow him to pay off two variable interest loans he used to remodel his home. The Bank On Yourself policy will allow him to do both. Dr. Pitchford first got interested in Bank On Yourself while looking for a place to invest savings after he maxed out contributions to his 401(k). He still has a 401(k), but finds the Bank On Yourself policy will be much more useful for financing his family’s needs. If he were to use money from his 401(k), he would face a huge hit in taxes and early withdrawal fees. But he can borrow from his Bank On Yourself policy any time, for weddings, cars, vacations, and recover all the money. He likes the plan so much he’s considering setting up policies for each of his children.